Since the first game of poker at the beginning of the 19th century and very first online room in 1998, ‘position’ remains an important element of winning. When playing poker, playing the position on your opponent, can go a long way into giving you victory. Here is a detailed explanation of why position plays poker. What is the late position? Late position is the current player on the button (dealer) and the 2nd player, whether it is to the dealer’s left or right. Regardless of the poker variants or the players, the position remains the most important condition for winning. You already know what the players before you did, which helps you to make better poker decisions. Playing late position gives you a bigger ‘bluffing’ allowance, as compared to players in early position. It is simpler, cheaper and more effective to bluff when you are on the button. Late position increases your opportunities for making more accurate value bets. Being the one to give the last action gives you more power to control the final pot size. You can assess your opponents’ strategies and use them to decide when to play weaker starting hands or fold strong hands like AQ. Late position enables you to effectively play starting hands that are only worth it when pot odds are high. The main difference between bad poker players and serial poker winners is the position. Fact is, position plays poker. A good example is the historic poker competition that took place some years back, between two famous players; Patrick Antonius and Tom Dwan. In the £1.5 million poker tournament, observers noticed that the players had losses when out of position, but made substantial profits when in position. Unpredictability is one of the most outstanding characteristics of pro poker players. You should not always play the same way whenever you become the dealer. Avoid making the same bluffs, folds or starts. Fold when there are many players in the pot or if you have A-9 hands. Look out for when tight players open pot, especially if they do so with a raise. Instead of jumping into the pot out of panic, maintain your position and also play tight. Only go in an unopened pot if you have a wide range of hands. You can either play consecutive cards (suited connectors) or opt for small pocket pairs because both are workable in a multi-way pot. Immediately take the pot away with a significant raise, then make a large bet on the flop. It will make the others think that you have a good hand, even if you don’t. If your opponents have many chips, limp on the late position with any two cards. One of the best ways of securing a win when in late position is by swiping the blinds because there are fewer opponents between you and the end goal. Being in position, you have to be extra cautious if you want to rob off blinds. While short stacked players are looking for ways to make bold plays and redeem themselves, big-stacked opponents can still come at you or notice the flop. If a pushy player opens the pot from the middle and you are on the button, you can always re-raise with any two cards and maintain a ‘strong hand’ face. Remain strong on the flop by using your position to influence and exert pressure on your opponents. If it is a head to head game between you and another player, call on the flop and check the turn. Players in the late position have more winning opportunities. However, remember to regularly look out for pots you can take away, be aggressive towards weak players, remain alerted and play strong. Can Poker Players End Up with Prophet from Crypto Casinos? Be as calm as a prophet and manage your poker tilting and steaming! Five card draw poker seems a little confusing, but use these tips and it will be a breeze! 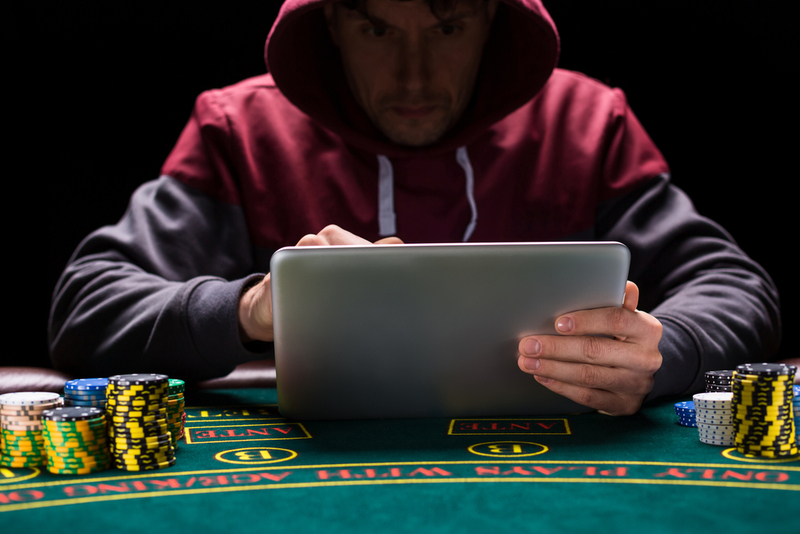 Is it Time for you to Hire an Online Poker Coach?